To get the right co-workers on board, we need a strong DNA. This helps us to decide who ‘fits’ and who needs support on what. We ensure that anyone who joins our team matches with this DNA. 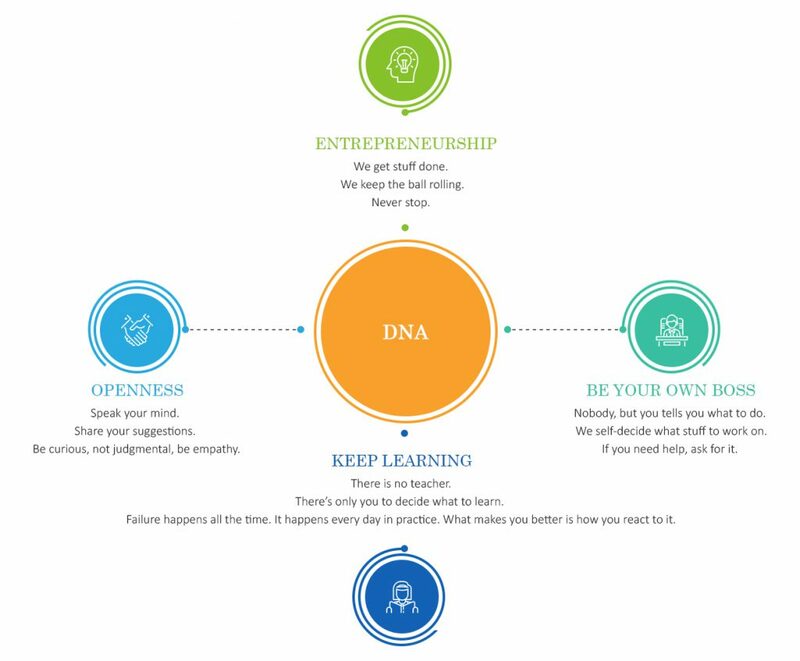 And we make it our daily responsibility to develop this DNA within ourselves and our co-workers.